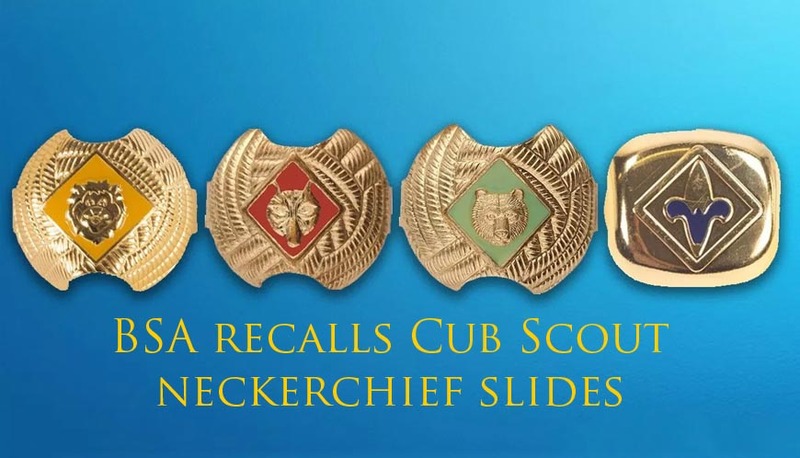 On September 27, the U.S. Consumer Product Safety Commission, in cooperation with the Boy Scouts of America, announced a voluntary recall of certain units of the Wolf, Bear, Lion and Webelos neckerchief slides sold between February 2018 and August 2018. If you believe you have one of these slides please return it to the local scout shop for a full credit or exchange. The only neckerchief slides affected by this recall are those associated with the following PO numbers, which are listed on a tag attached to the back of the slide. For further information, please click [here] for the BSA Supply Division FAQs.